Give your project the best chance of success. This Kick-off Kit gives you the tools, templates and tips you need to run an effective project kick-off meeting, all in a handy 39-page ebook. Based on our Kick-off Kit blog post series, it’s been revised and expanded, collecting all the resources in one place. It shows you how you can start your project on the right foot, making sure you get the results you need. Learn what you need to run a fun and practical one-day project kick-off meeting that sets you up to start developing the next day. have fun while you’re at it. 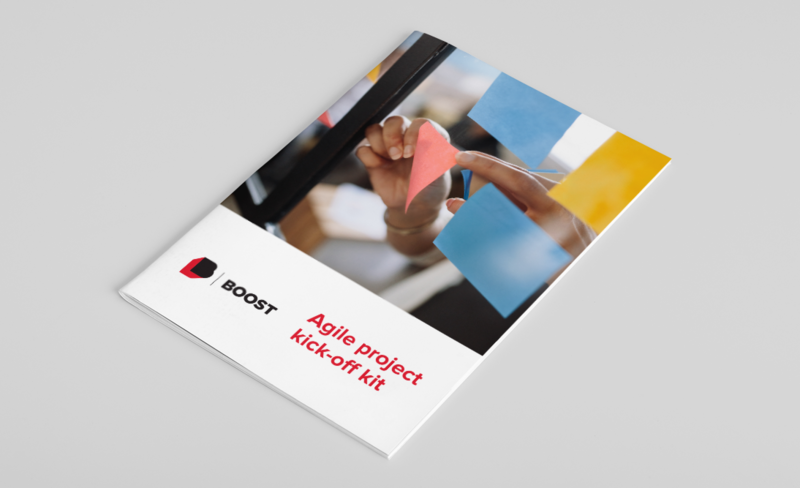 The Kit is for anyone starting an Agile project and wanting to run a project kick-off meeting. You don’t need to have worked in an Agile way before. It’s designed for recent arrivals in Agileland, and doesn’t assume you already know the lingo or concepts. You might be the manager, product owner or project lead who is planning the project kick-off meeting or the facilitator who will run the meeting on the day. Nor do you need to be developing software—your product might be something like a policy, plan, strategy or research programme. You’ll get tips on how to complete the activities, templates to guide you, examples to follow, advice about common pitfalls and ideas for other activities you might like to try. The Kit is based on what’s worked for us. We’ve tried an array of exercises, refined some and discarded others; you’ll be able to experiment to find what works for you too. Let us know how you find it. We’d love to get your feedback on the Kit and the activities it covers, or just to hear about your experiences running project kick-off meetings.